Indian cricket team on Monday sealed the One Day International (ODI) series against New Zealand with a third consecutive victory at Bay Oval in Mount Maunganui. 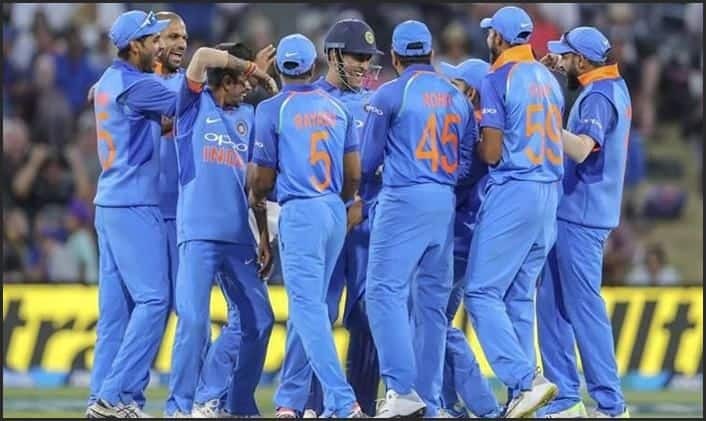 Indian cricket team on Monday sealed the One Day International (ODI) series against New Zealand with a third consecutive victory at Bay Oval in Mount Maunganui. Half-centuries by Virat Kohli and Rohit Sharma powered the Men in Blue to a seven-wicket triumph against the hosts. This is also India’s second ODI series win against New Zealand in the Kiwi land after 3-1 win in 2009 under the leadership of MS Dhoni. For his incisive spell of fast bowling, Mohammed Shami (3/41) bagged the ‘Man of the Match’ award, this is his second MoM of the series. Best thing about this win is that we completely outplayed a strong NZ side so no excuse for anyone. Rohit scored a fine 62 off 77 balls while Kohli made 60 off 74 balls – the pair added 113 for the second wicket. New Zealand would be thoroughly disappointed with this performance. They had batted and bowled poorly in Napier last Wednesday and at Mount Maunganui on Saturday. Kane Williamson would have expected his men to bounce back strongly with the series on the line but barring Ross Taylor (93) and Tom Latham (51), the batsmen showed no fight. It was always going to be nearly impossible to defend a paltry 244 against a star-studded Indian batting line-up. Even without MS Dhoni in their ranks, India have enough firepower to chase down such middling totals without seemingly breaking a sweat. Rohit Sharma and Shikhar Dhawan began aggressively and added 39 for the opening wicket before Dhawan fell to Trent Boult for 28. Virat Kohli then joined Rohit in the middle as India marched towards their second successive series win this year. India’s victories in the recently concluded Australian series and now, the New Zealand series have offered a good platform for the Men in Blue to gear up ahead of the ICC 2019 world cup.